Top floor on the bluff, views from every room of the house. 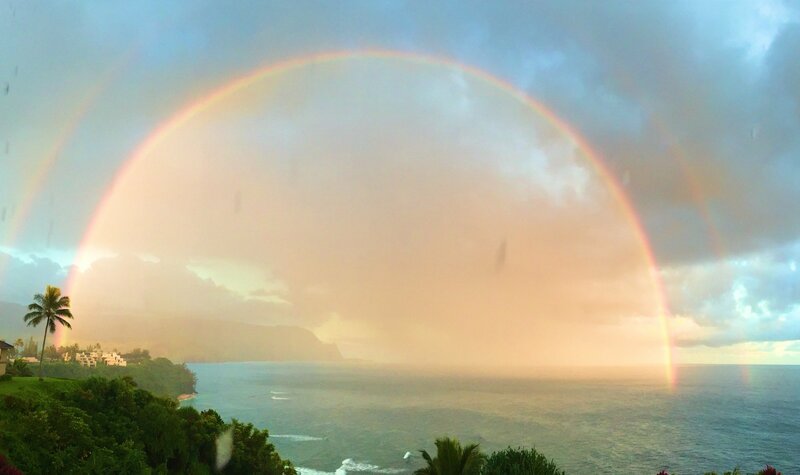 Actual view from the Lanai. 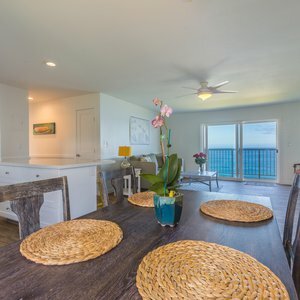 Views of the reef and a table / chairs for relaxing. Guest bedroom. Not a bad view right? Guest bedroom with large closet and full bath across the hall. 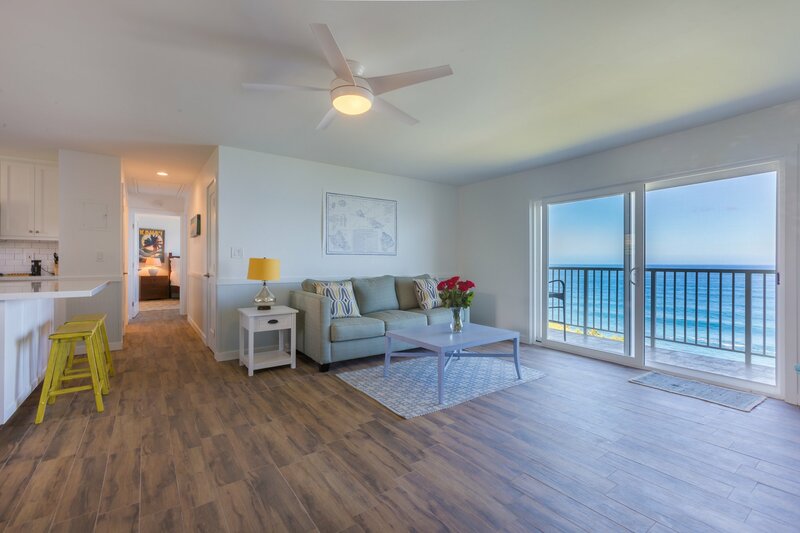 Be one of the first guests at this fully remodeled charmer. Kitchen with marble, new kitchen and view of the ocean. 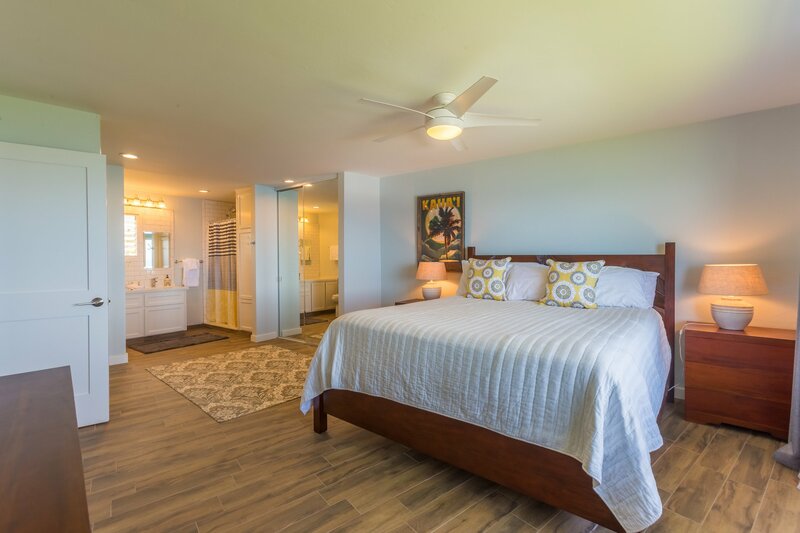 Giant master bedroom (and comfy bed) with walk in shower. 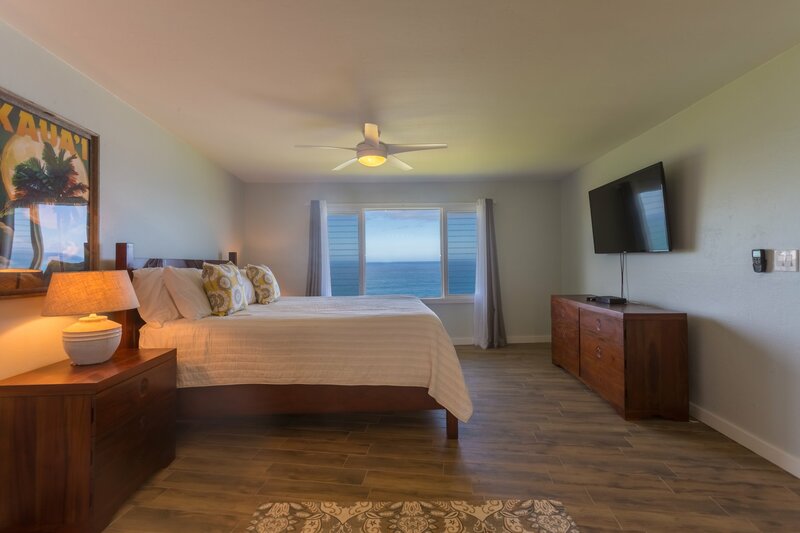 Relax with the ocean at your fingertips or just chill and watch a movie. Wake up and see the waves below. Light and bright colors to soothe and relax your soul. The community pool, BBQ and bathrooms. 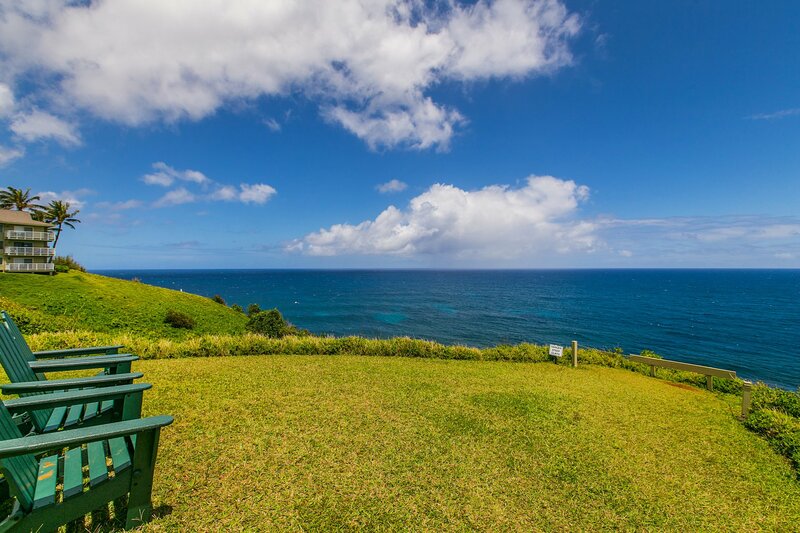 The bluff, relax on the chairs and enjoy the sun and surf. 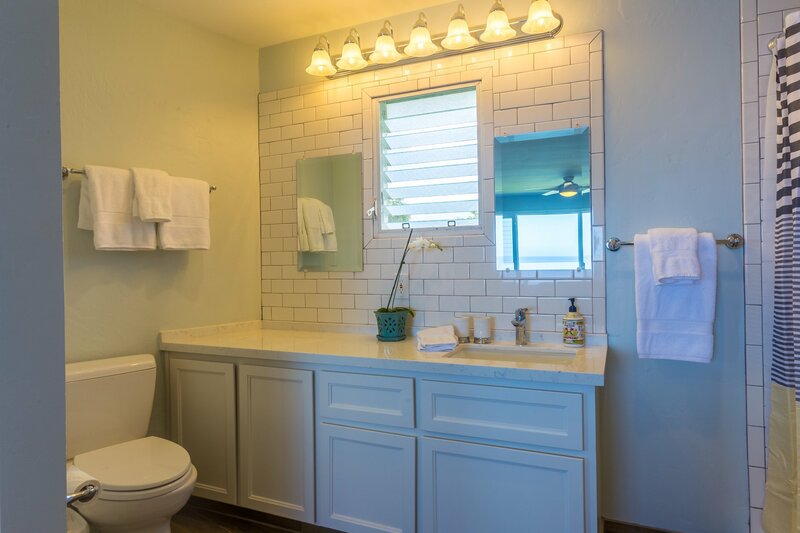 Plantation style bathroom with subway tile and Hans-Grohe fixtures. 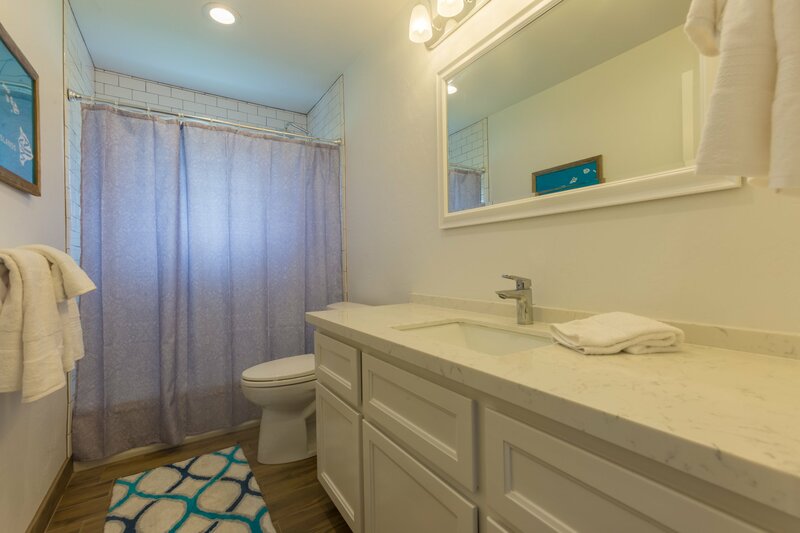 Guest Bath. Brand new EVERYTHING! BBQ just outside the condo. 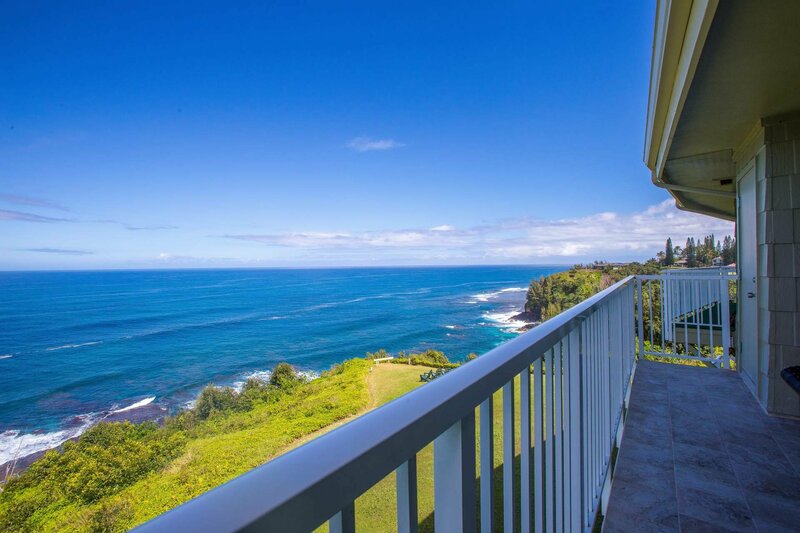 Your "windex water" view from the Lanai! Chasing Rainbows! 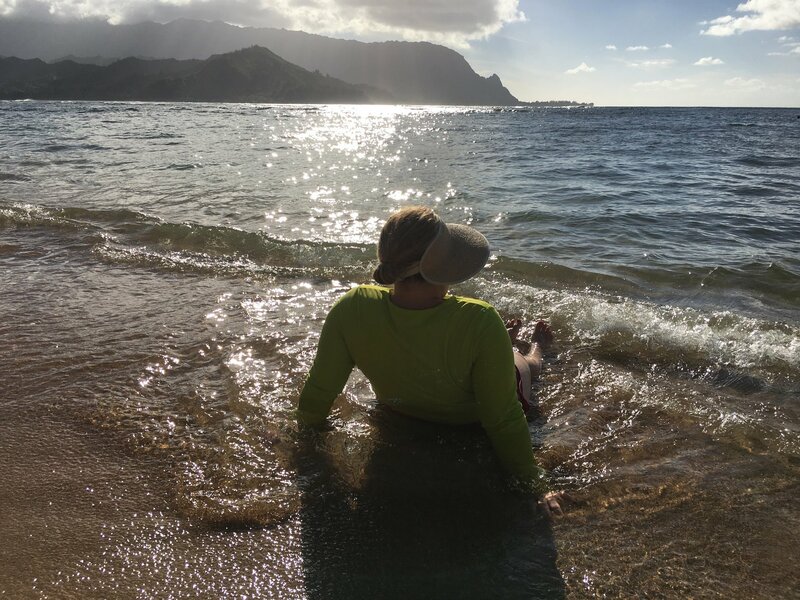 Our favorite North Shore Activity! 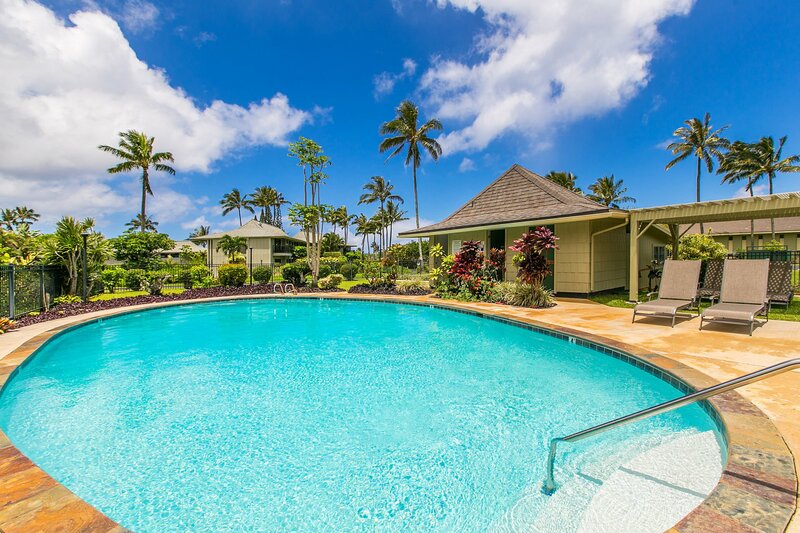 Of all our vacation rentals in Princeville, Kauai, Alii Kai 5302 has to be one of our favorite and most popular. Click today to learn all about it! 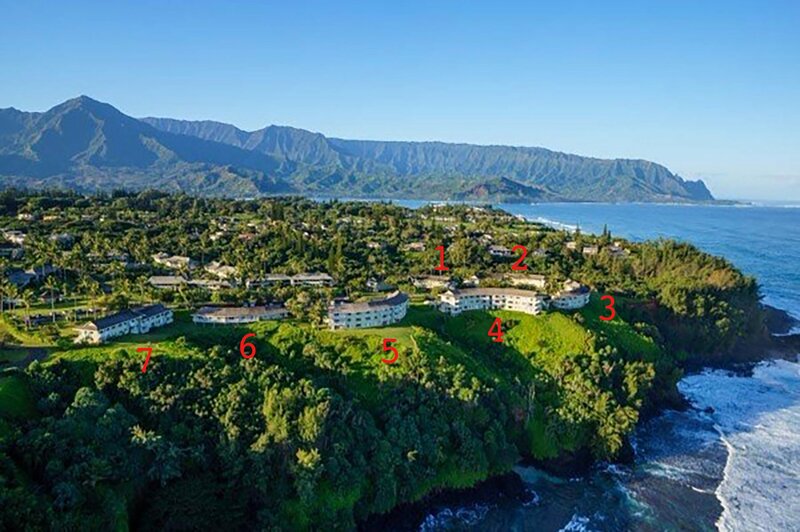 Welcome to the Point at Alii Kai, home to the best ocean views in Princeville., You are going to LOVE staying with us. 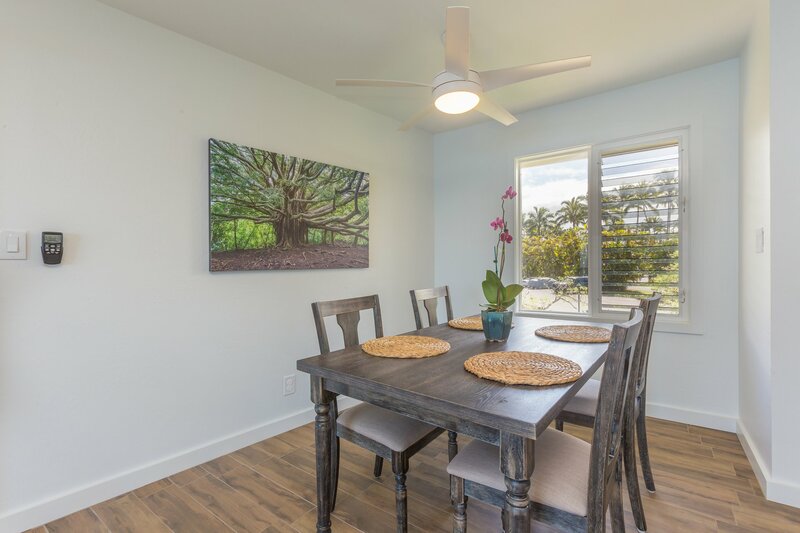 This beautiful, modern Kauai vacation home makes an excellent home base while exploring all the beauty and adventure Kauai has to offer. 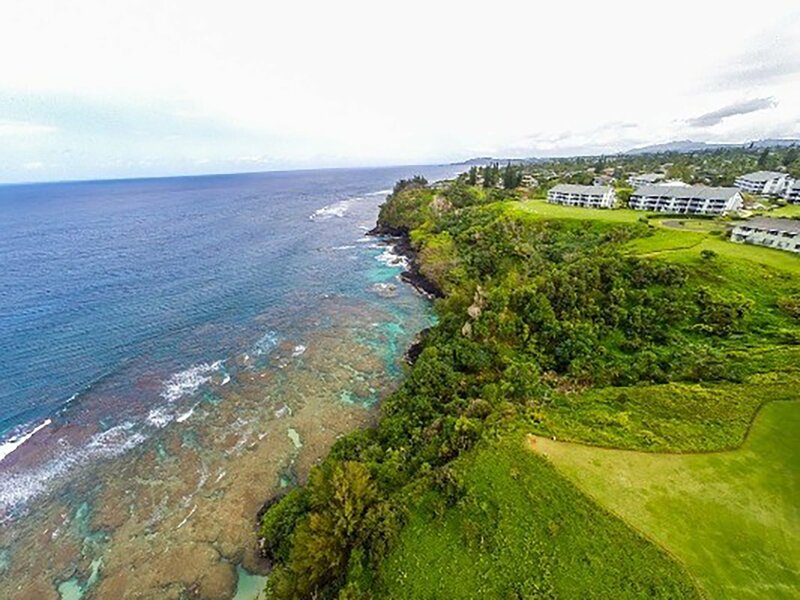 Located in Princeville, you will find yourself surrounded by beaches, mountains and North Shore hospitality. all within steps of your front door. Shopping, groceries and shave ice are less than one mile away at Princeville Shopping Center. Hideaway's Pizza is a 20-minute walk or short car ride away. 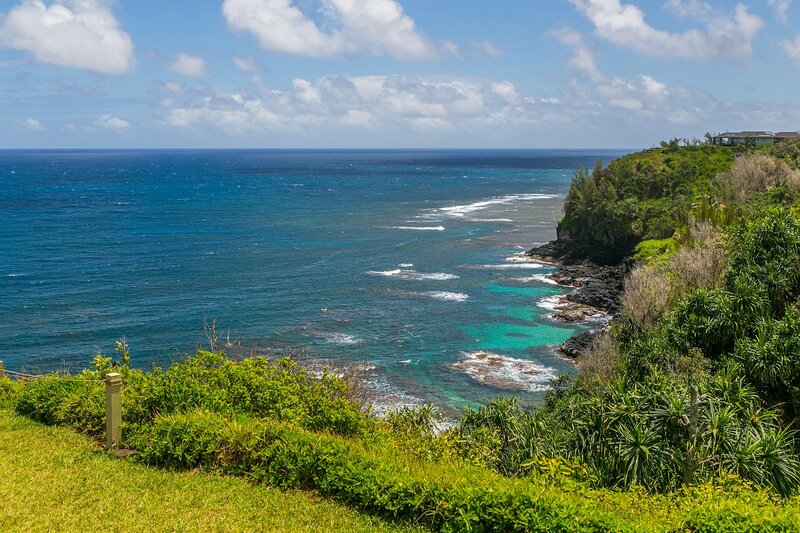 The area has great hikes (Okolehau and Hanakapiai are two of our favorite, but feel free to ask for suggestions). 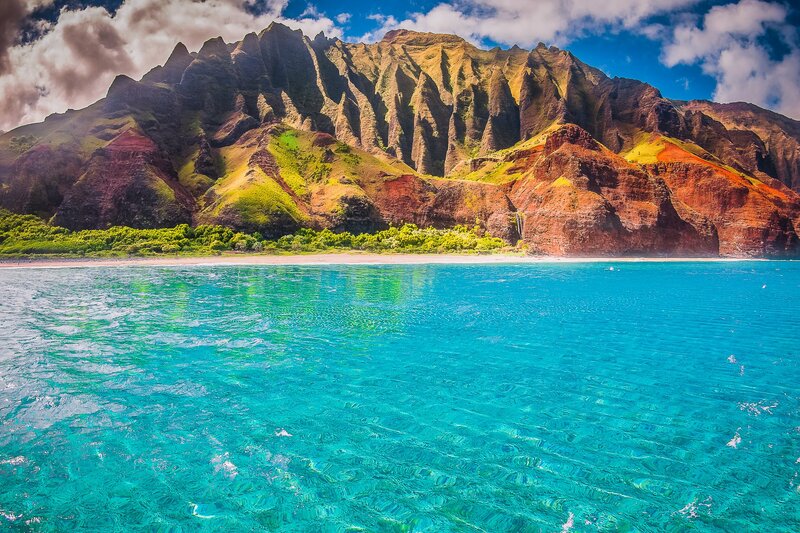 You will be a half hour away from the fabulous Na Pali Coast State Park, which is hike-in only and home to breathtaking views atop 3000-foot cliffs. 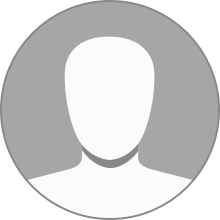 Hanalei Pier and township is about a 10-minute drive. 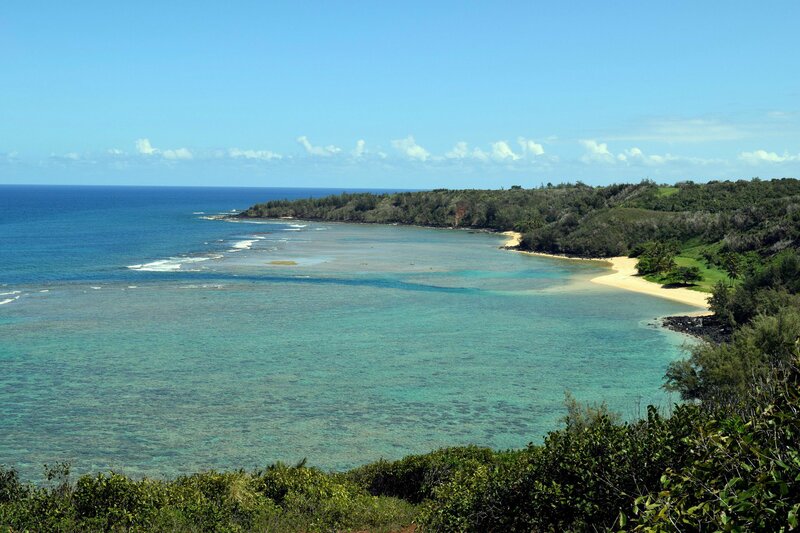 Anini Beach, as well as six other beaches, are also close by. Kauai Airport is less than an hour away to the south. 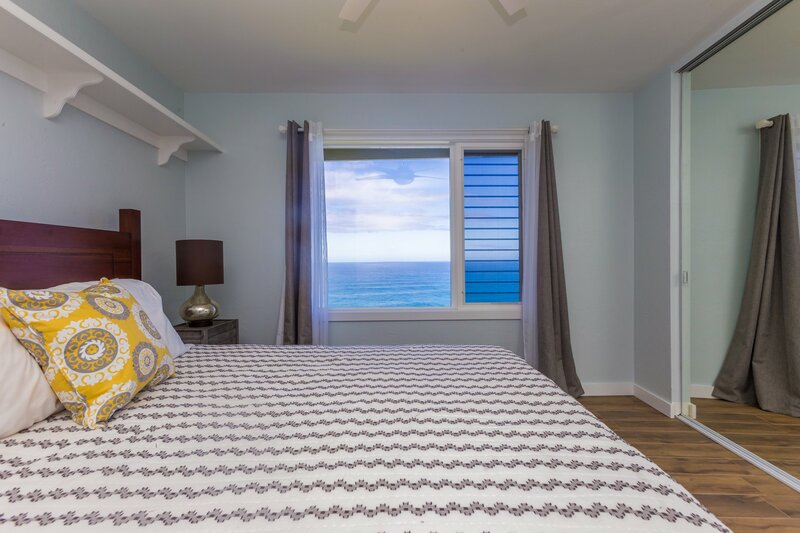 This two bedroom, two bathroom condo has unbeatable whitewater and reef views from every window. 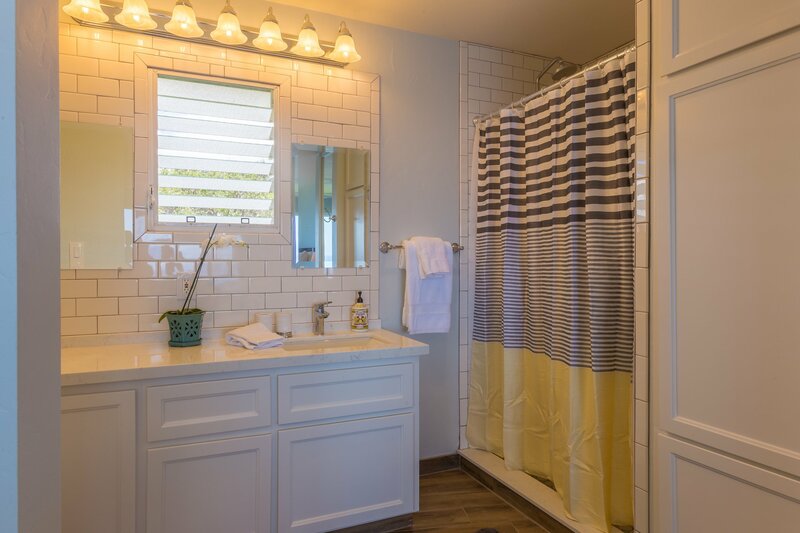 Our interior design is freshly remodeled, with modern cottage vibe. This is a quiet, top-floor location, so expect stairs. 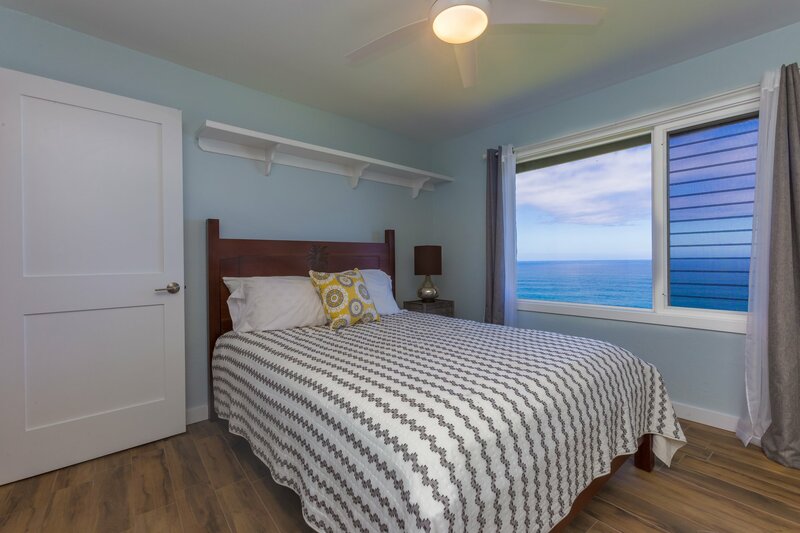 You will be able to fall asleep to the waves! 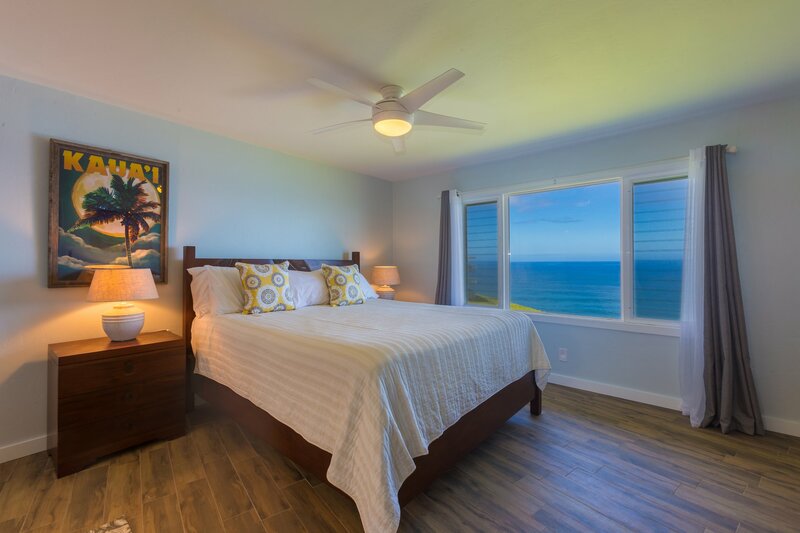 You will find a super comfy King sized bed in the master bedroom and queen sized bed in the second bedroom. 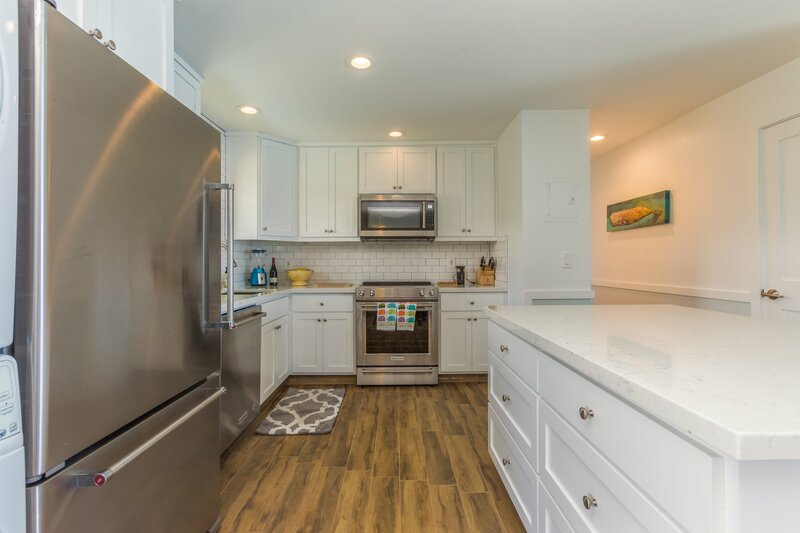 The kitchen is well equipped and there is a full sized washer and dryer in the home. Dining table seats four. This really is set up as a home away from home! 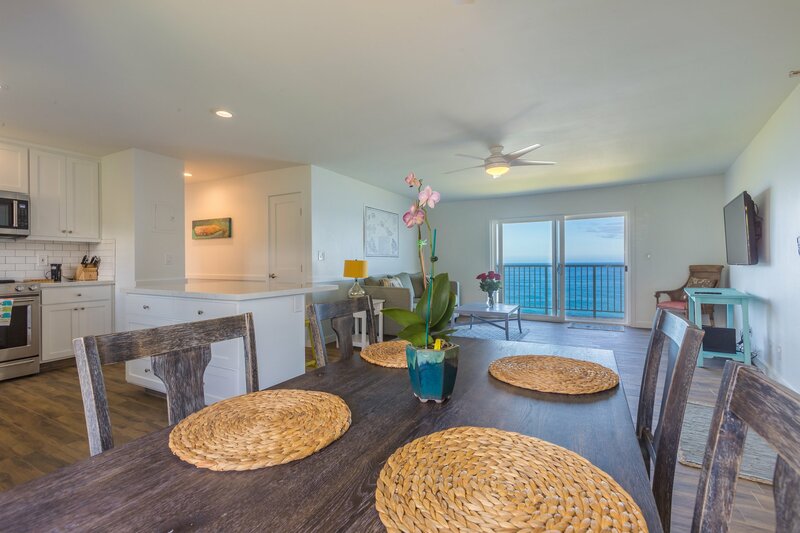 Boogie boards, fins, snorkel, mask, beach chairs all here at the condo for you to use while our guests. 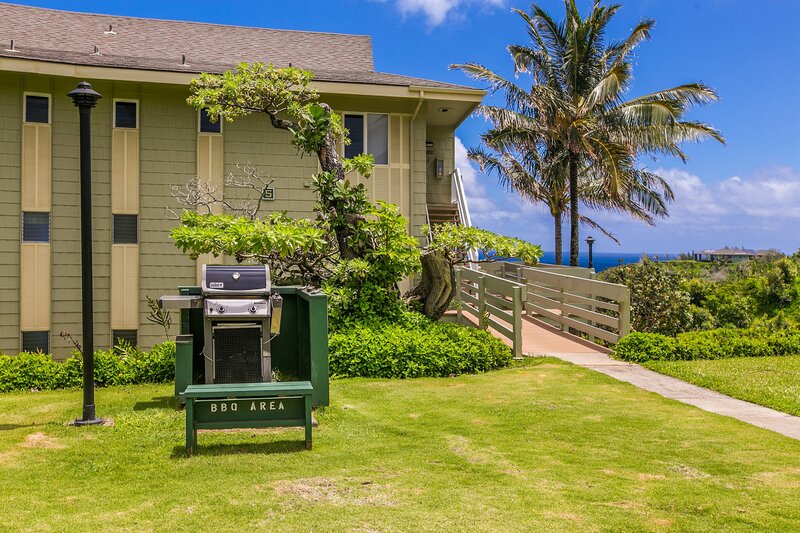 There are a communal BBQ and pool on property, located about 100 yards away from your front door. Parking for one car is included in the cost of the rental. 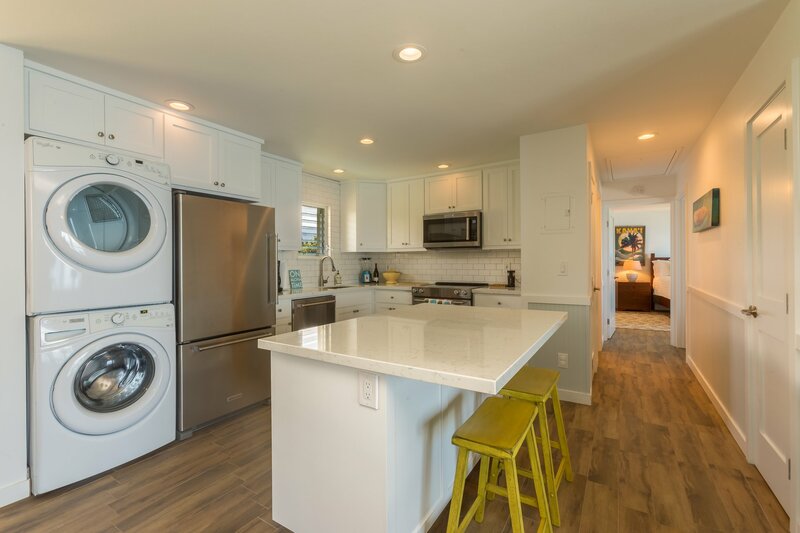 Pack light, an iron, hairdryer, and kitchen basics are all waiting for you in the condo.